This is the third and final post in a series. Click here for part 1 and here for part 2. Echoing Jane Austen’s Emma, Clueless follows California girl Cher Horowitz (Alicia Silverstone) as she tries to play matchmaker at her school – with disastrous results, obviously. Despite being rich and popular, Cher is well-meaning and sweet, and takes a nerdy new girl called Tai Frasier (Brittany Murphy in a breakout role) under her wing. Eventually, Tai becomes more popular than Cher, leaving our protagonist to question her priorities and motivations. Clueless frequently pokes fun at Hollywood conventions; at the beginning of the movie, we find out that Cher’s mom died tragically from complications of a liposuction surgery. Though I was deeply weirded out by the fact that Cher’s love interest was her ex-stepbrother (played by Paul Rudd), I loved the movie’s flamboyant outfits and snappy dialogue. Though more tween movie than teen movie, Spice World perfectly encapsulates the girl power mania of the mid- to late-90s. The movie is so bad it’s good, holding an abysmal 29% rating on Rotten Tomatoes. The wafer-thin plot makes no sense and the girls can barely act, but the songs and rollicking scene changes make for many moments of high camp. Spice World has huge nostalgia value for those of us born in the mid- to late-80s. Shiny platform boots? Check. Mel C’s leopard print catsuits? Check. Performances of “Too Much” and “Spice Up Your Life?” Check. Love it or hate it, Baz Luhrmann’s over-the-top Shakespeare adaptation never fails to elicit a reaction. 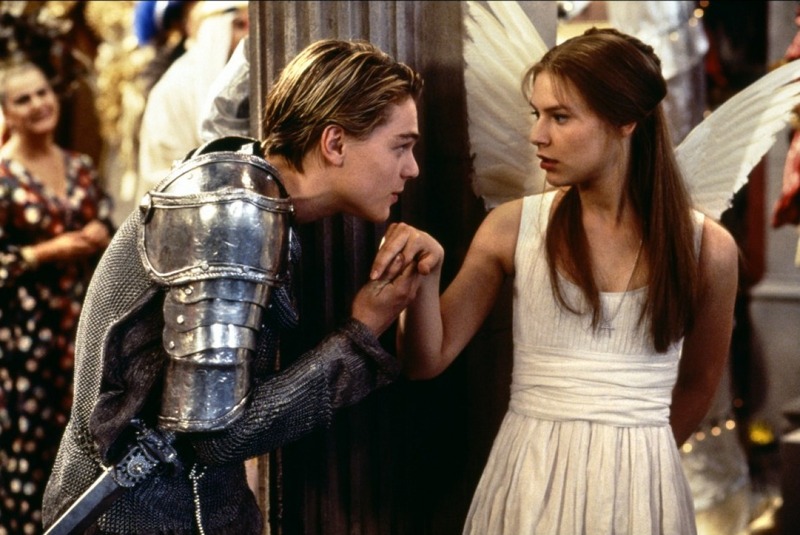 Romeo + Juliet launched romantic leads Leonardo DiCaprio and Claire Danes into stardom, cementing their reputations as teen idols. The movie holds a special place in my heart. I was dazzled by its tragic account of doomed lovers, lavish costume designs, excellent soundtrack (which I still own on CD), and gritty modern-day backdrops. There are lots of clever references to the original play; for example, the guns used by the dueling Capulet and Montague families are all named after bladed weapons: “Dagger,” “Sword,” and so on. Wes Anderson’s first directorial feature follows oddball teenager Max Fischer (Jason Schwartzman), a 15-year-old student at an all-boys school who has the distinction of both being in the most extracurricular clubs and having the worst grades. He befriends a rich businessman named Herman Blume (Bill Murray), and they both fall in love with a teacher at Max’s school, Rosemary Cross (Olivia Williams). Many of trademarks that would go on to characterize Anderson’s films are present in Rushmore: the eclectic soundtrack, off-kilter humor, immaculate set design, and deadpan acting. The movie is a gem, both wonderfully acted and presented. The original teen rebellion movie, Rebel Without a Cause stars the immortal James Dean, who tragically died a few weeks before the film came out. Without a doubt one of the best-acted and most poignant movies on this list. In Rebel Without a Cause, 17-year-old Jim Stark (Dean) frequently gets in trouble with the law and feels misunderstood by his parents. He encounters a bully named Buzz at his new school, but soon becomes friends with fellow misfits Plato (Sal Mineo) and Judy (Natalie Wood). Throughout the film, they struggle with generational differences and society’s attitude towards youth. If you’re not in tears by the last scene, you’re an unfeeling rock.